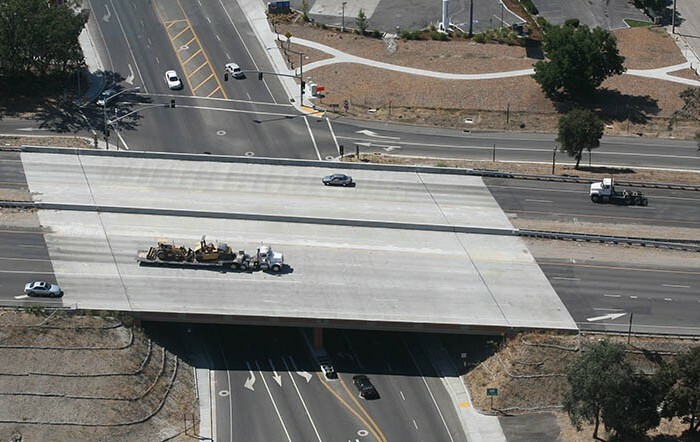 The Harmony Highway Widening is an addition of a turn lane to the State Highway for the community of Harmony to make entering the town safer for the residents. 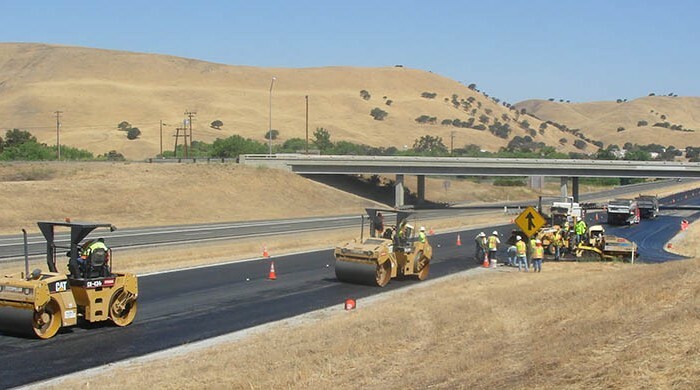 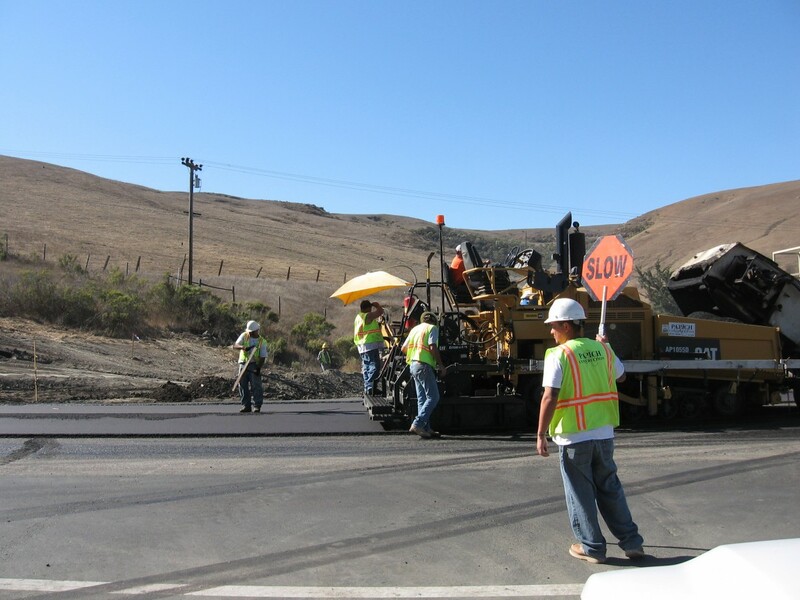 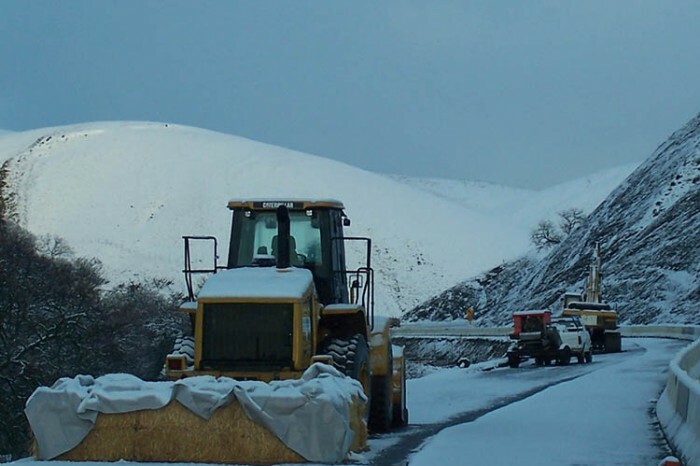 The Harmony Highway Widening is a County Of San Luis Obispo project under the direct supervision of Caltrans. 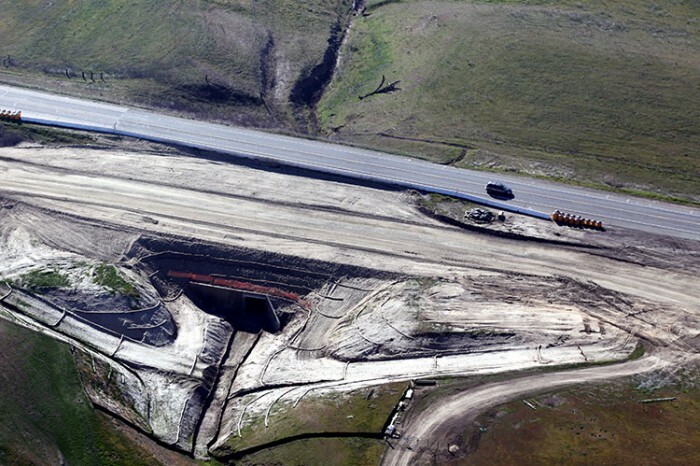 Environmental mitigation measures were the first thing to take place prior to place fill material in the low creek area to widen the highway. 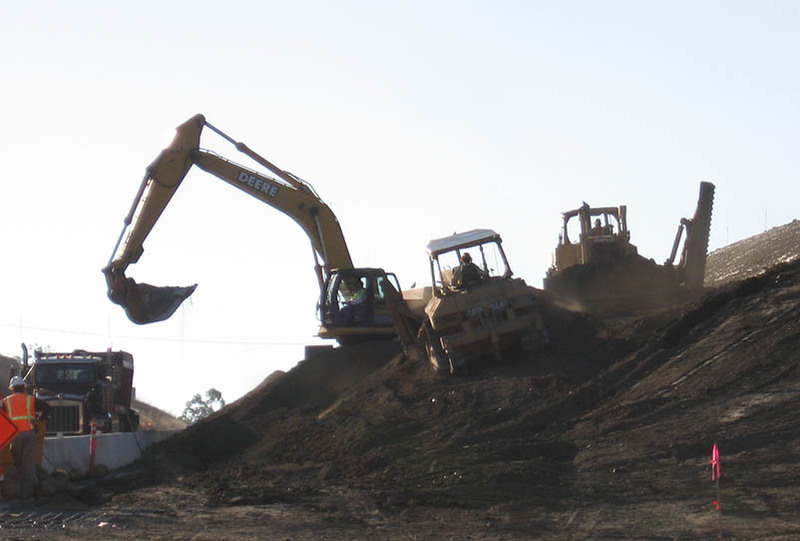 After the environmental measures were completed, the material from cut slope was placed in the fill area next to the wetland. 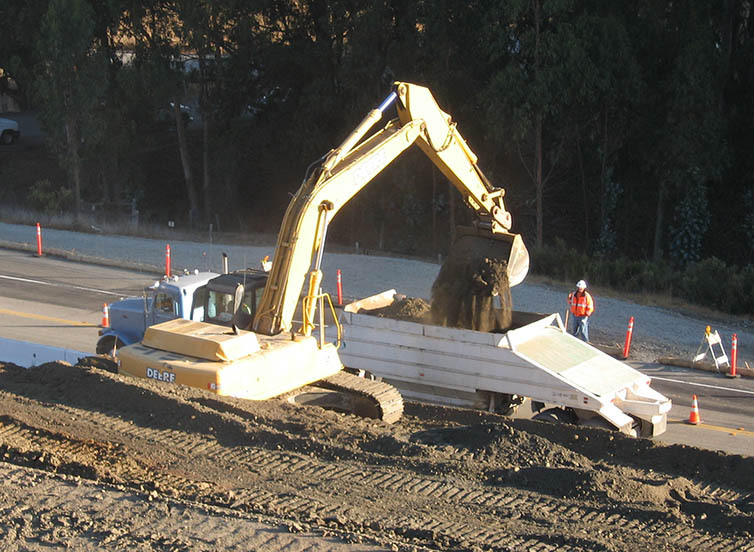 Then, after the completion of the onsite earthwork, the balance of the material onsite was exported and the new road section was built. 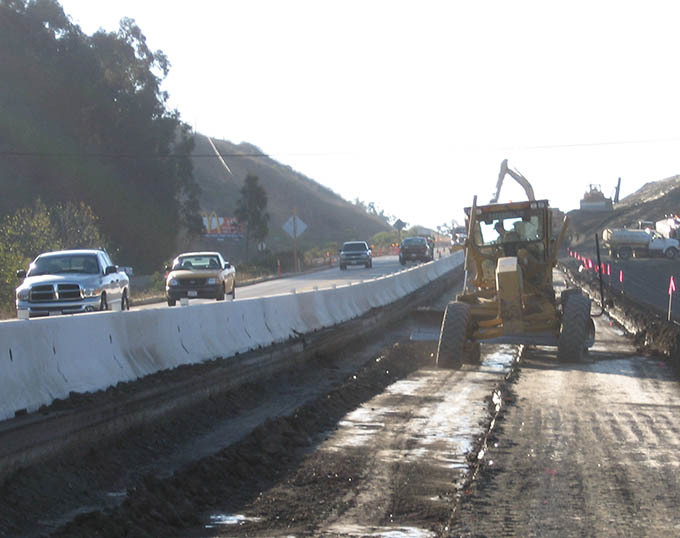 Upon completion of the widening, the entire roadway was overlaid with asphalt for the length of the project.